Preschool STEM activities are all about exploring scientific concepts safely and beginning to understand the scientific method. 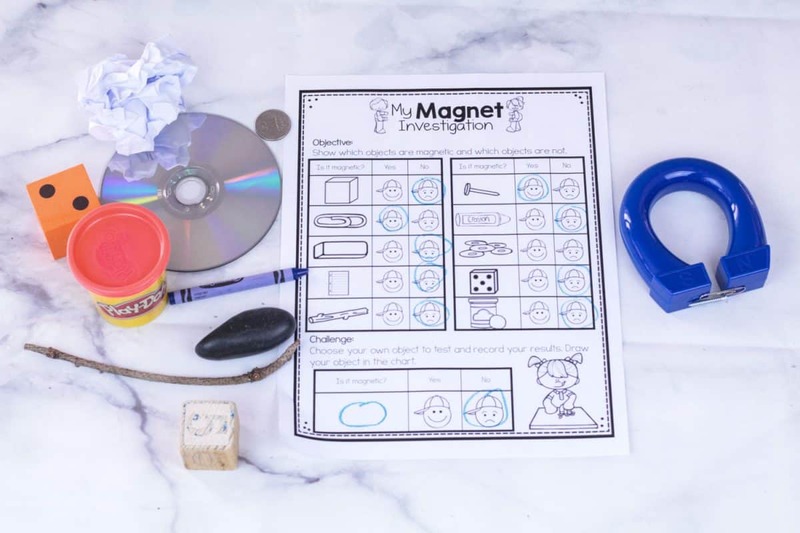 In this preschool magnet activity, children explore the basics of magnets. 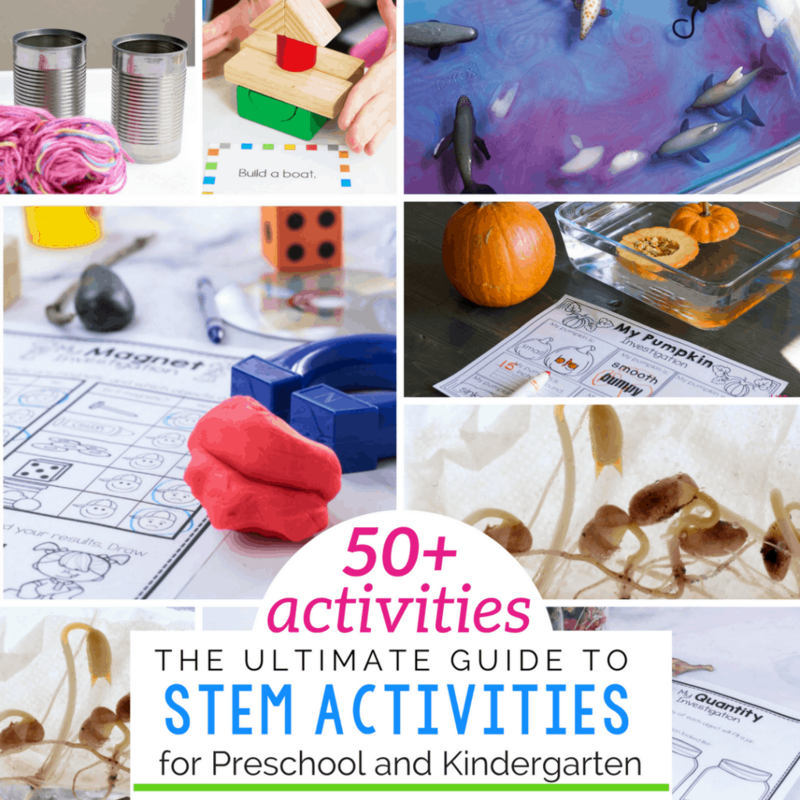 The printable worksheet is the perfect addition to round out this preschool STEM challenge. The activity will keep kids fascinated and teaches a lot about the scientific method, making a hypothesis, making an experiment, analyzing data, and recording results. You can have children draw to fill in the worksheet or let them write their answers in. Kids will love repeating this activity over and over, which makes it ideal for use in science centers and for independent learning stations. 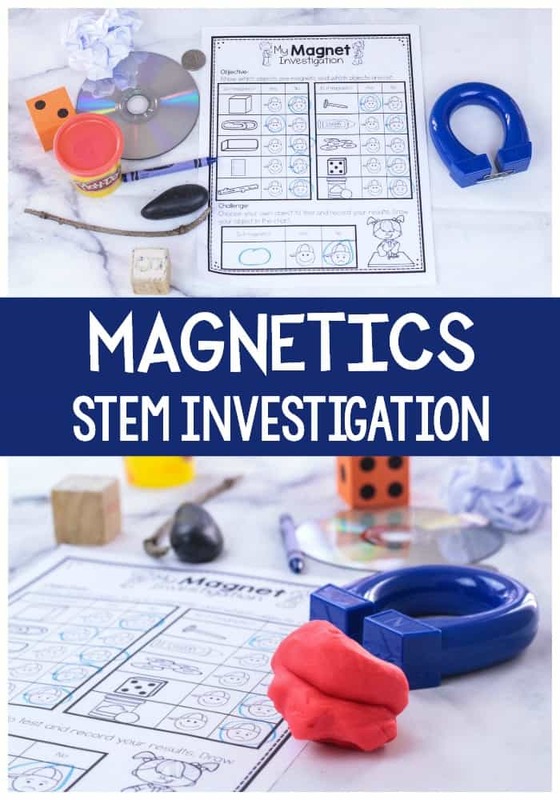 Little science lovers will love this fun STEM investigation on magnets. Best of all, kids can do this experiment alone in a science center, or as a group! 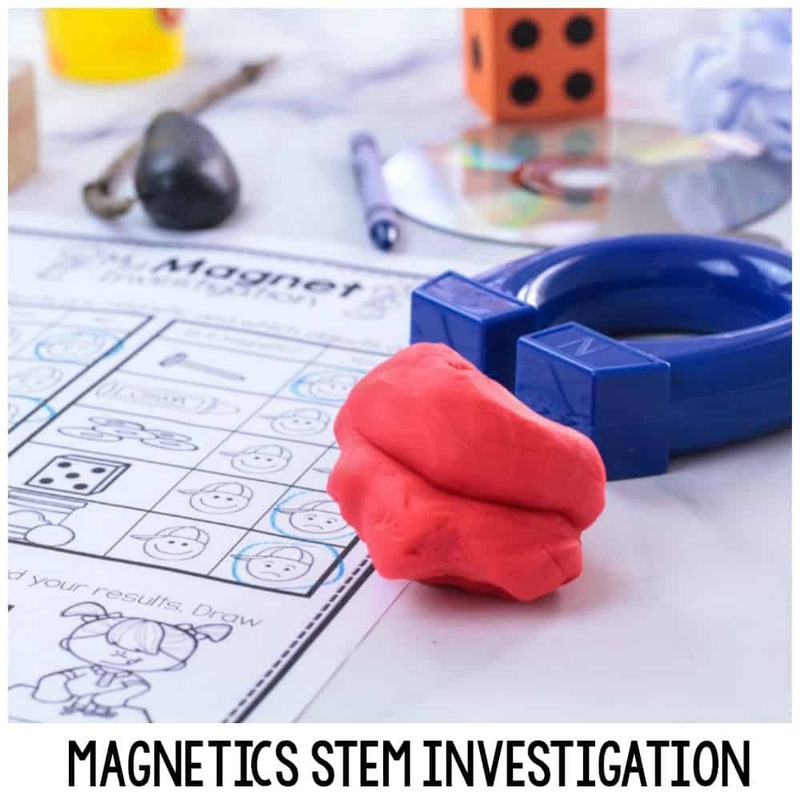 This fun STEM activity is perfect for preschoolers and kindergarten kids just learning about magnets. You can use just one kind of magnet like we did, or use an entire set of kid-safe magnets to complete your experiment. This activity can be done independently in a science center, or you can complete it as a class by dividing the kids up into groups. Kids will love learning about the scientific method as they learn whether objects are magnetic or not. 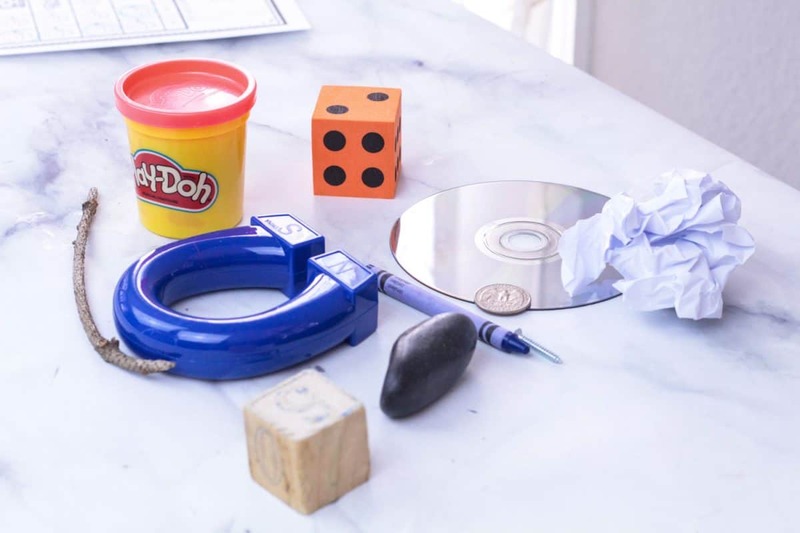 Provide a variety of objects to test, and have the kids predict if they will be magnetic or not before placing them against the magnet. The biggest surprise for my kids was that the coin wasn’t magnetic. They thought all metal was magnetic, but were proven wrong. Test other types of magnets in addition to the horseshoe for further STEM investigation fun. Where did you find the large horseshoe magnet?